Male African Lion in the Chobe Game Preserve, Botswana, Africa, 2006. We would go out to observe and photograph the game in large open land rover vehicles. 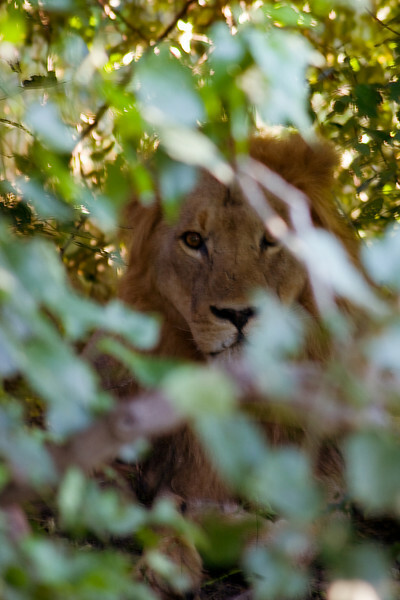 We never looked for the lions except just after 6 am each morning when the gamekeepers were sure the lions had finished hunting and eating for the day (night).